OMEGA ® non-intrusive RF capacitance sensors deliver accurate and reliable liquid level detection with an SPST mechanical relay output. 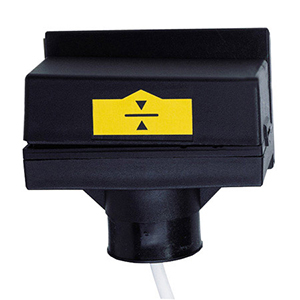 A versatile weld-on fitting enables the sensor to be mounted directly to the wall of any standard polyethylene, fiberglass or polypropylene tank. Simply align the fitting with the tank and press it into place. An engineered adhesive holds the fitting during welding and provides a seal between the sensor and the tank wall. OMEGA’s two-step calibration feature ensures the highest level of dielectric sensitivity. 참고: LVP-51-R has an SPST mechanical relay output standard. For for 7.62 m (25') add "-25" to model number, add $20 to price. For 15.24 m (50') add "-50" to model number, add 40 to price.